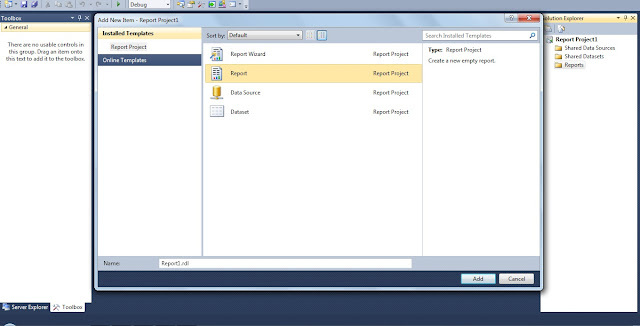 When we opens ssrs projects we got mutiple options in that project such as Shared datasource Shared data sets add reports. While right click on report you will get multiple option such as add item,add report etc. click on add item and then select report from the provided options. This way you can add the reports which can be designed in designer window.